There is a saying in my village that goes: "Pa i crostó, l'esmorzar d'Altorricó." Which roughly translates as: "This is the traditional breakfast that people used to eat a long time ago, but not anymore." Well, things change over time. I doubt many people still continue the tradition of preparing pa i crostó for breakfast. I do sometimes. I really love to eat it, especially in the winter. Since a picture is worth a million words, I took several pictures. Cut a thick slice of bread, the thickest the better. You will have to pour the boiling water over the toast but you still want it to keep part of its consistence. If the toast is too thin, it will turn into a mash. Then toast it. Meanwhile rub the garlic over the toast, on both sides. The flavour and the taste of the garlic cloves is the key to success. Put the frying pan with oil to heat. 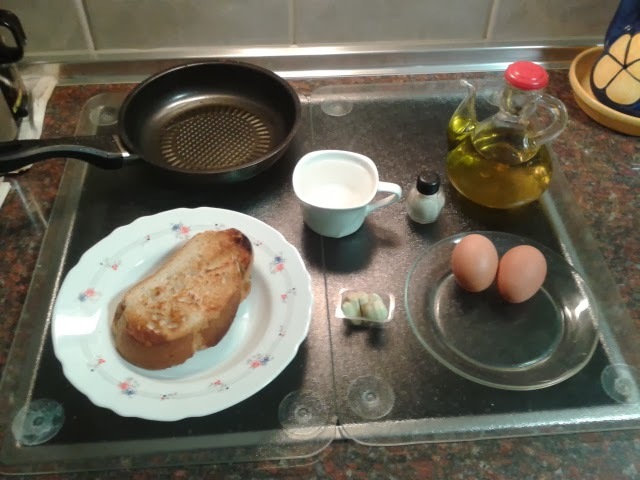 Pour the boiling water over the toast until it is soft, add salt and olive oil. Then, immediately fry the eggs. 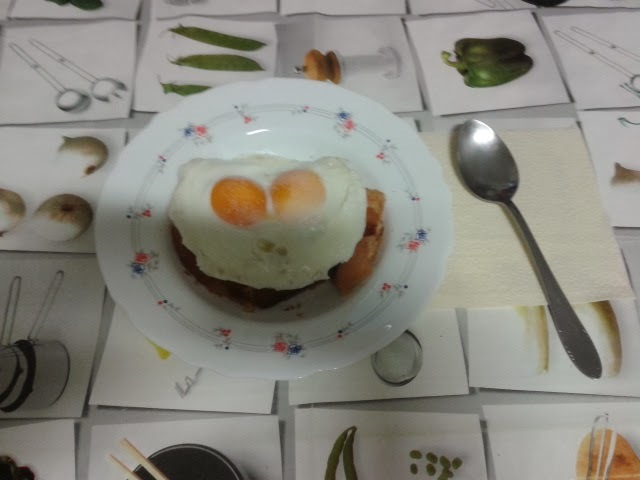 When they are ready put the eggs on top of the toast.